September 11, 2001. 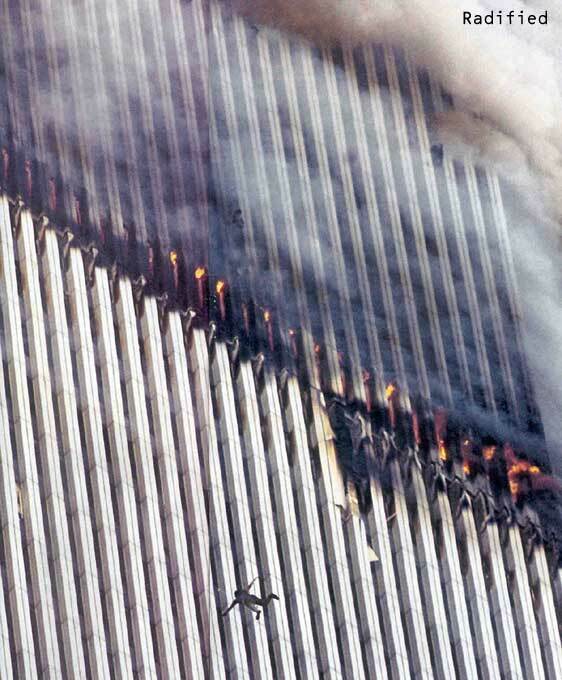 A person watches someone below leap to their certain death from the burning World Trade Center Tower. You can barely make out someone, looking down from the upper-right corner of this photo. Imagine what must be going thru that person's mind.